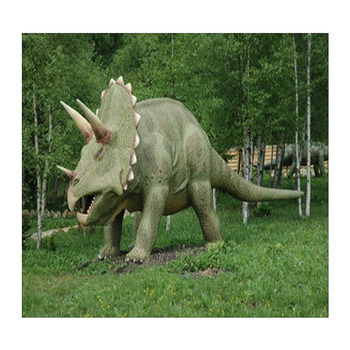 The triceratops awaits the end of the school day from the comforts of your child's room. 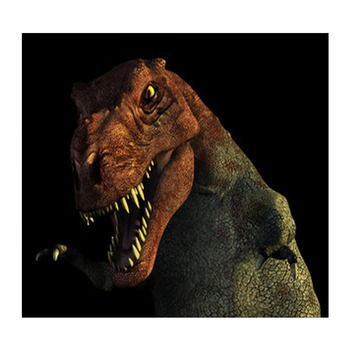 Not too far away, the Tyrannosaurus Rex hopes he will stumble upon his next big meal. 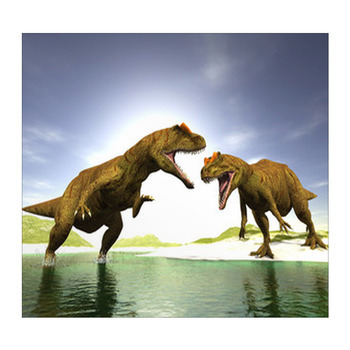 These aren't living dinosaurs, but you might think so on our dinosaur wall art. These jungle dinosaurs are displayed on beautiful wall murals. 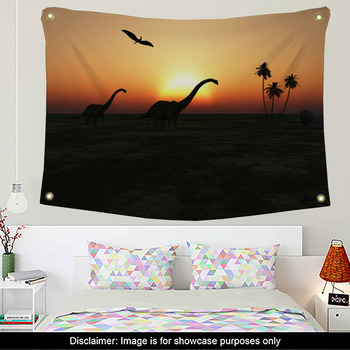 Dinosaur wall art can cover more than your walls since you can have them turned into wall stickers, artboards, gallery wraps, and tapestries. 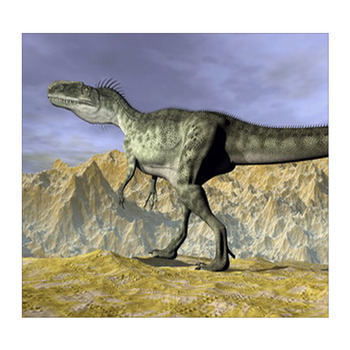 Choose to break out of the normal and begin searching our huge dinosaur selection. 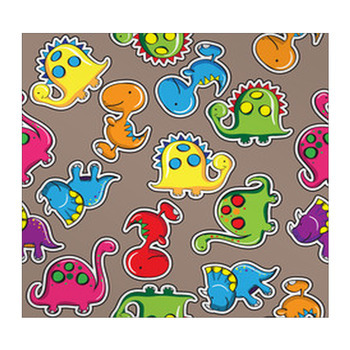 Traditionally, dinosaur wall art has been created with a cartoon look and feel. 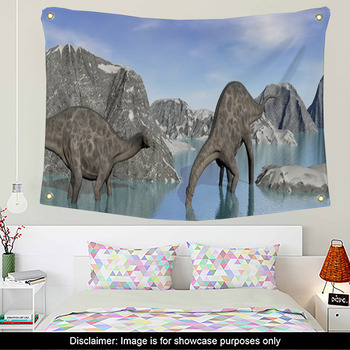 Here at VisionBedding, we also offer a more realistic prehistoric vibe. 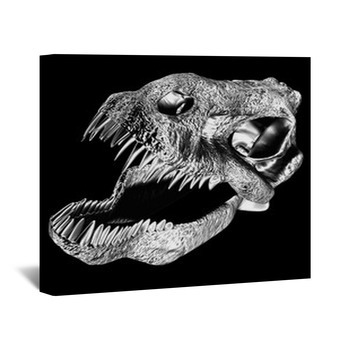 Along with our myriad dinosaur designs, you can also personalize your wall art. 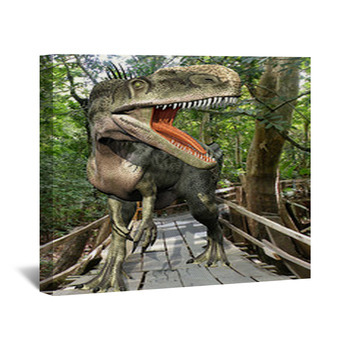 With custom wall art created from the photos you choose, no cartoon dinosaurs will appear on the walls unless you want that style. 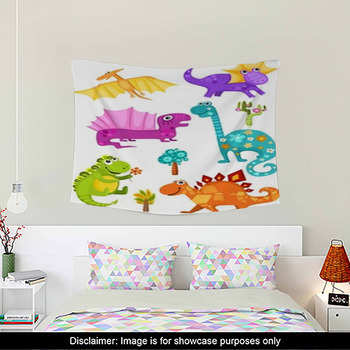 If your child loves dinosaurs enough to draw pictures of bones, fossils, and dinos, then those pieces of art can also be turned into personalized wall art or even a bedding for their bedroom. 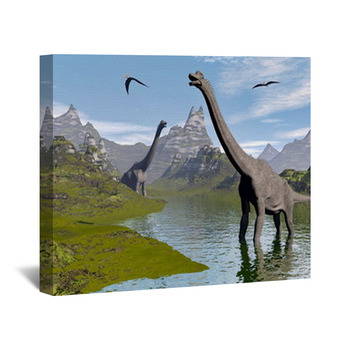 The image need only be digital and you can create just about any wall art you could ever imagine, from gallery wraps of long-necked brontosauruses to tapestries wide as pterodactyl wings.